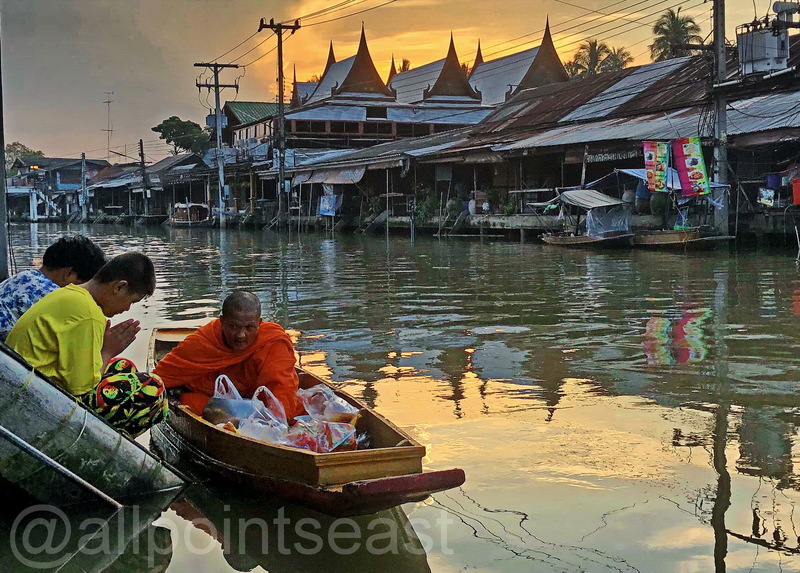 A selection of photos from Wi’s long overdue recce of the charming and as yet unspoilt district of Amphawa, Thailand. 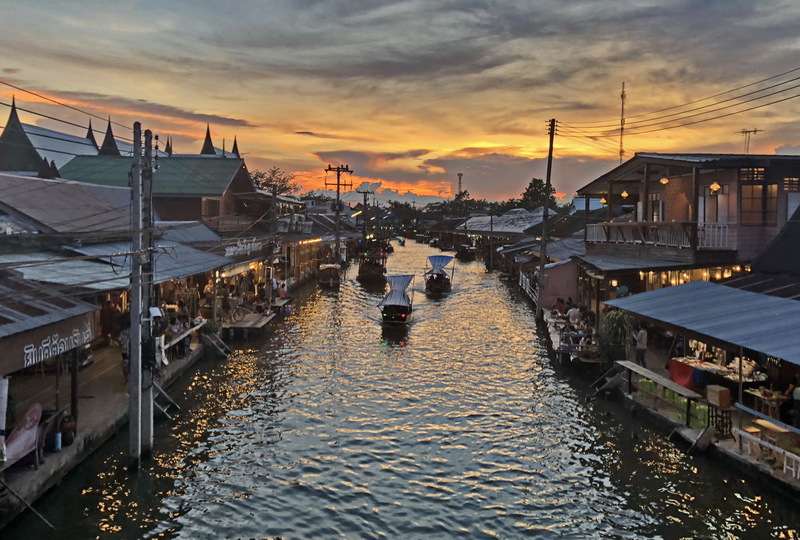 Amphawa, actually a distant suburb of Bangkok – is situated in Samut Songkhram Province to the southwest of the capital – and for now – though popular with local weekenders – remains largely bypassed by overseas visitors. Leafy suburb it may well be but with its labyrinth of canals and waterways, watery may be a more accurate description and while most of Bangkok’s canals – it was formerly known as the ‘Venice of the East’ – are now freeways or shopping malls in these suburbs they’re still far more common than roads. 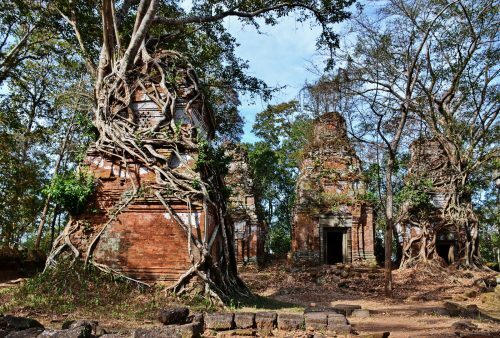 The intention is to include a couple of days in these tranquil surroundings on some of our Thai tours and provide a flavour of the authentic lifestyle, local markets and cafes of a still very traditional area while avoiding the coach parks of similar but much better-known districts such as Damnoen Saduak’s tourist-trap, floating market. 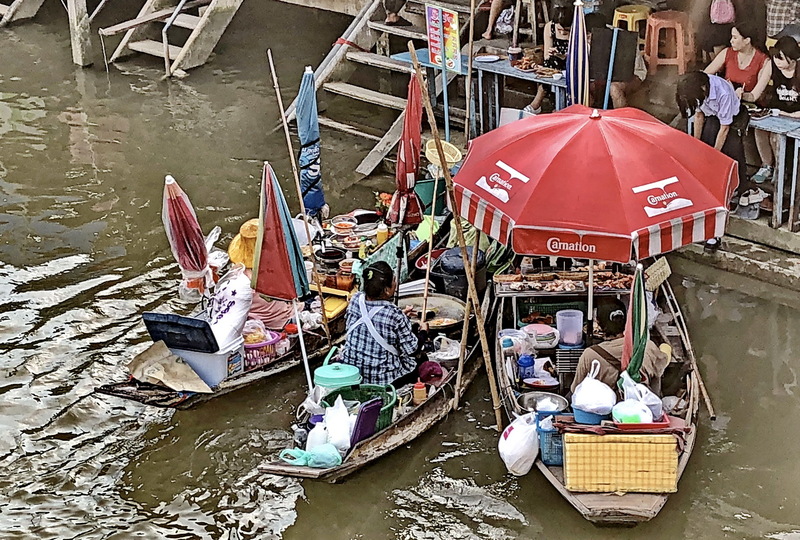 Amphawa’s markets are low-key affairs so don’t expect the bank to bank boats filled with hats, postcards and coconuts but neither will you get the hoards of umbrella-following, over-sized tour groups. 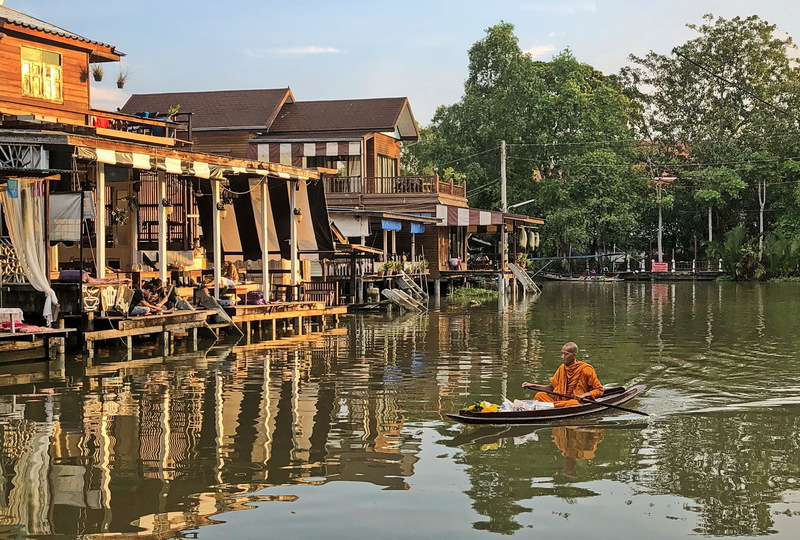 It is the whole scene that charms though – rather than any particular market – the well-preserved wooden stilt houses lining the canals, a tempting, strategically-placed cafe terrace or an early morning monk rowing past collecting alms. 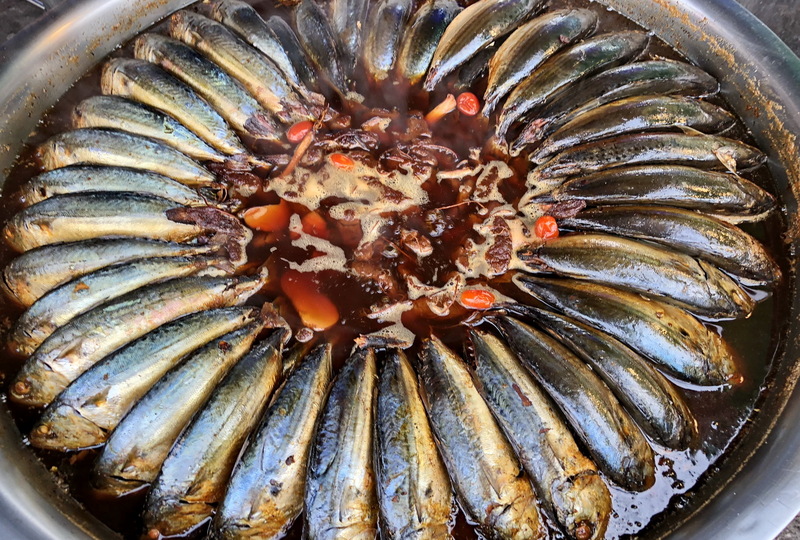 Fortunately, there are enough visitors to Amphawa to ensure a good supply of excellent accommodation and cafes and – as is the case anywhere in Thailand – there are lashings of great food including local specialities to sample. The weekends – market time – are when the canals are at their liveliest while mid-week you can have the place pretty much to yourself so we reckon, to soak up the serene atmosphere, admire the gorgeous views, appreciate the traditional culture and meet the friendly residents, any time is a fine time. An afternoon, overnight and morning stay in Amphawa will feature in our Images of Thailand photography tour as well as our Jungles and Islands Thailand family tour although it will also be available as a 2-day add-on to any of our tours starting or finishing in the Thai capital. 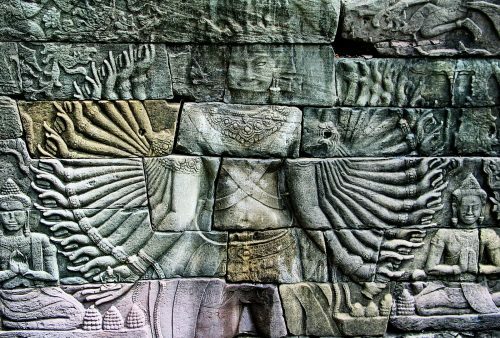 Thanks to Wi for all the great images!